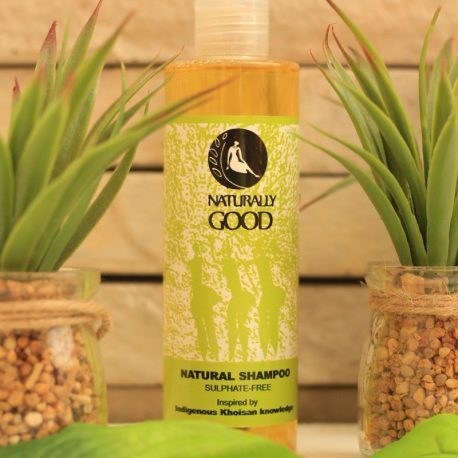 Our NATURAL SHAMPOO is a mild, natural-based shampoo and body wash, free from sulphates/sulfates, ideal for use in the home, food and hospitality industries. 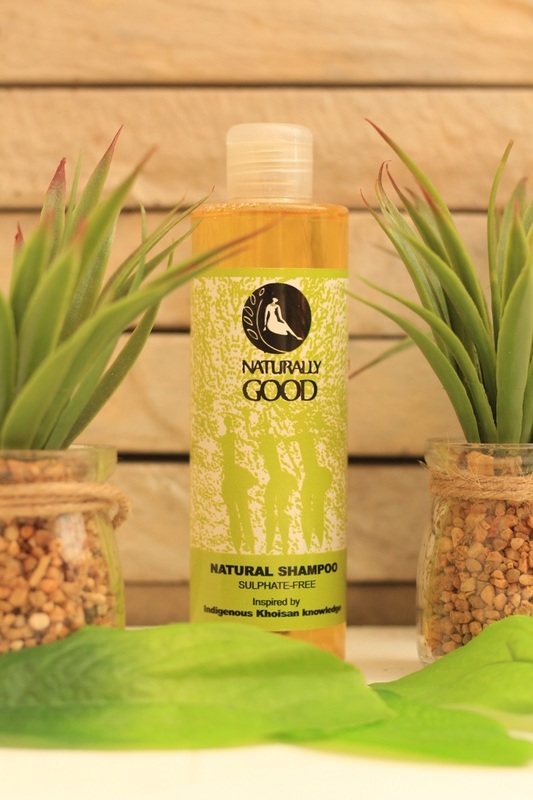 Wash hair with approximately 5 -10mls NATURAL SHAMPOO and water. Rinse off thoroughly. For best results, use the NATURAL HAIR CONDITIONER thereafter. It improves the hair’s ability to withstand heat. The organic additives hold moisture in the hair for longer resulting in less damage when using hair dryers and curling irons. 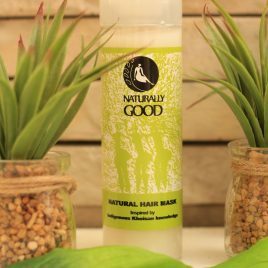 Our NATURAL HAIR CONDITIONER is a non-irritating, mild and biodegradable product designed for use on all hair types, including dry, damaged, bleached and dyed hair. This conditioner contains additives that penetrate the hair shaft, thereby strengthening the hair and making it less prone to breakage. This is particularly evident after continued use of the product. Our NATURAL HAIR CONDITIONING MASK is a non-irritating, mild and biodegradable product designed to revitalise dry, damaged, brittle, bleached, over-processed and dyed hair. 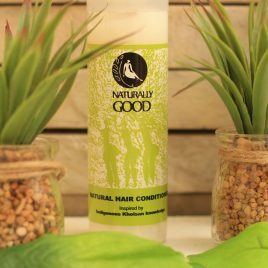 This conditioner contains natural oils such as Olive Oil, Almond Oil and Argan Oil to provide essential nutrients and fatty acids to add shine, elasticity and strength to the hair shaft. This product also contains a combination of Cashmere, Silk and Collagen proteins for hair repair to improve moisture and strength as well as to heal split ends and relieve brittleness. Ingredients are vegan. Available only in 250ml. Strengthen bones, hair and nerves. 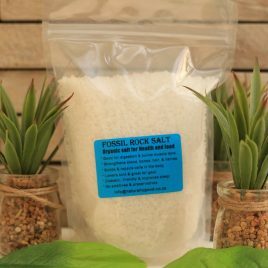 Our FOSSIL CRYSTAL ROCK SALT is a pure, organic salt with full flavour. It contains mineral & trace elements that are essential to our well-being. It is a multi-use Table, Bath and Health salt. 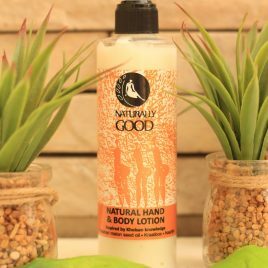 Our KHOISAN NATURAL HAND & BODY LOTION is a non-irritating, mild and biodegradable lotion to moisturize and nourish the skin. Available only in 250ml.